Hip In Detroit: Food For Everyone at Ferndale Restaurant Week! Ferndale has become the go to town if you're in the mood for a good meal. Whatever type of food your are craving, there's probably a restaurant in Ferndale that has it. From Italian Cuisine to Street Tacos to Homemade Ice Cream, there's something for everyone. This week is the perfect chance to see head out and see what the eateries of Ferndale have to offer. April 21st thru the 27th is Ferndale Restaurant Week. This event features great deals at most of the restaurants in Ferndale. There will be several options to choose from, with $10, $20 and $30 price points. Some options get you a meal for 1 at that price, while others get you a steal with a meal for two. For example, Como's has lunch and dinner options for 2 for $30, while at the more upscale Local you will get a three course dinner for 1 for $30. There are a ton of great restaurants on the list, you can check them all out and what each has to offer here. Personally, we suggest heading over to The WAB for their new pizza menu, tasty tacos at Imperial, or breakfast, lunch or dinner at One Eyed Betty's. Then you have to grab dessert and you can't go wrong with Easy Like Sundae or Treat Dreams. Both are delicious! 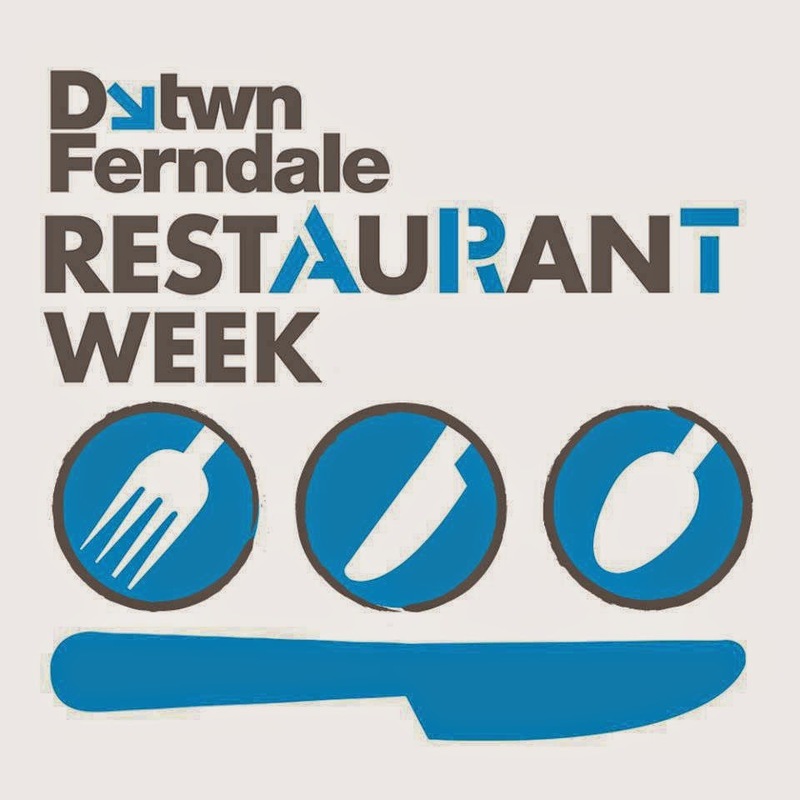 To find out what your favorite restaurant is offering just head to FerndaleRestaurantWeek.com and click on the restaurant name. Make sure you "like" Ferndale Restaurant Week on Facebook too, so you can stay in the loop on all of the great food and offers going on this week. Head out on the town and try something new or take a date out for dinner without breaking the bank! This is the perfect excuse!